I wouldn’t trade Los Angeles winters for those on the east coast, but spring is another matter. In May, when most of the trees in Central Park and Brooklyn’s Prospect Park shimmer in palest green and the rest of them bloom white, pink, and magenta, there’s not a nicer place to be. And so I was. Barely a hint of green on the trees in the Berkshires where Alix Delinois, illustrator of Mumbet’s Declaration of Independence, joined me at Ashley House in Sheffield, Massachusetts. As Alix and I talked about our book in the kitchen where the enslaved Elizabeth “Mumbet” Freeman tended the fire and cooked the meals, a brisk wind blew through the room. Mumbet herself coming to call? Then to Boston (and rainstorms) for the fifth annual conference of the Biographers International Organization (BIO.) I first learned of this group several years ago when Marfé Delano Ferguson blogged about it here. What a treat! On Friday we had to choose only two of eight guided tours of the area’s many libraries and archives. I chose the Schlesinger Library at Harvard. Several years ago they sent reels of microfilm across the country to me, relating to Jeannette Rankin, and finally I got to see a smidgeon of their vast repository of American women’s history, and hear about new technology that makes research easier. 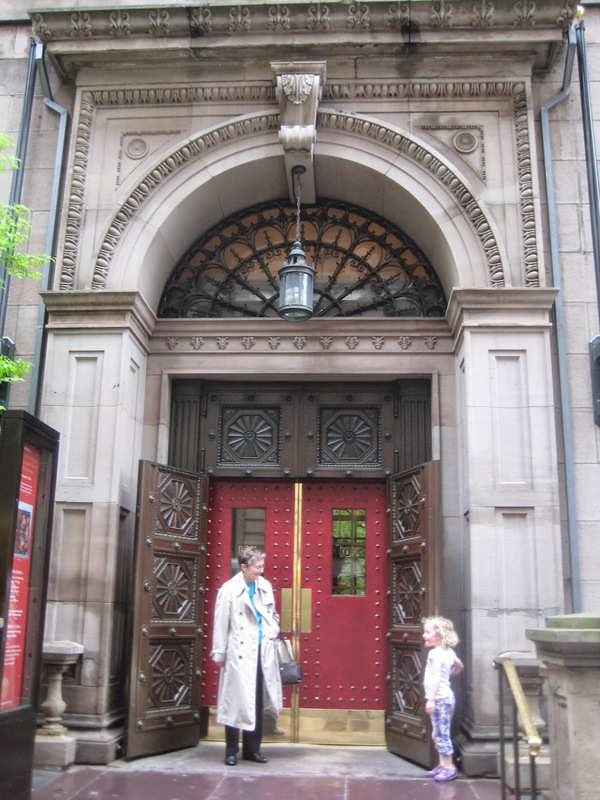 In the afternoon I traveled across the river to the Atheneum in Boston, a venerable private library filled with donated antique furniture, rugs, portraits and, of course, books. A full day of panels on Saturday covered all aspects of the biographical craft from research to publishing to marketing. Again the biggest problem was choosing among so many delectable delights. Talks on writing a group biography; finding the balance of a subject’s life, context, and work; and writing about place gave me some new ideas, and validated what I’m already doing. Networking proved to be the surprise of the weekend. Few children’s authors attended. Nearly all were academics or independent scholars, but all were as friendly as children’s authors. I made some good connections for my current research and contacts for possible author visits. It’s so easy to break the ice with a biographer. All you need ask is “Who are you working on?” and you’re launched into an animated conversation with a new friend. In fact, it's often hard to get a word in to brag about your "baby." I recommend the annual BIO Conference to any and all biographers. History writers and writers of historical fiction will also find it useful. And lots of fun. I'll be going back to another conference…..
…..and to New York in the spring. Our lunch represents one of the legacies of I.N.K., the experience of finding and learning from other kids' nonfiction authors. It has helped to make our often solitary world bigger and no doubt has influenced what and how we work. So thanks, Linda Salzman. And come back soon, Gretchen. Thanks so much for sharing your adventure with us, Gretchen. And what wonderful photos! Nonfiction then and now and...?